The year 2017 marked the transition from B2B to B2C, enabling us to directly sign on the clients, surpassing the middle-men. This engenders a win-win situation for both the sides, making it a largely successful model. 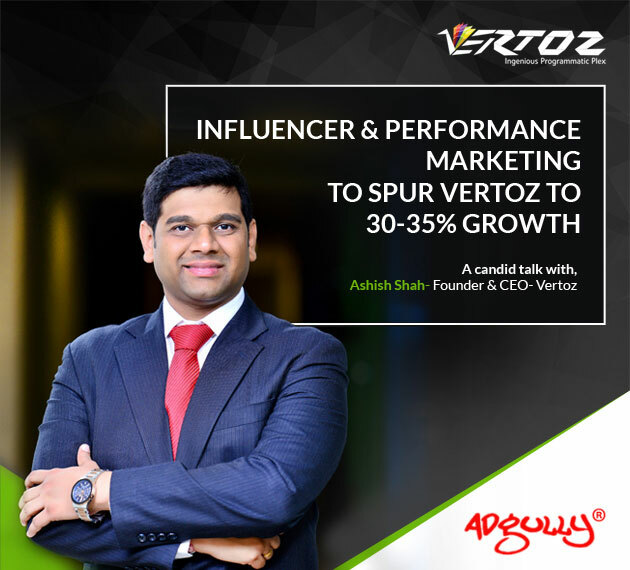 On this backdrop, Vertoz recently introduced two new products – influencer marketing and performance marketing. These were received well by the market, opening-up new vistas of business. They brought in leading corporates like Godrej, Air Asia, Lenovo and Amazon during 2017, auguring well for 2018. Our expansion plans in the US markets have led to acquisitions talks with certain US players. Also, we are focusing on the Indian markets, which are still in a nascent stage, but are expected to follow the US growth trajectory. Our recent listing on NSE Emerge, equips us with sufficient funds to fuel our expansion plans, giving us a growth rate of at least 30-35% this year. With the middle-class comprising around 54 Cr. people in India, brands following the Western developments and digital marketing spends in the country rising substantially, we expect to capture more brands and corporates. All these will drive huge growth in 2018. Certain developments in 2017 have changed the industry dynamics. The initial focus on display advertising has now expanded to mobile, video, native and social. People being forever hooked to their devices has made digital access a necessity in today’s world. The brands and corporates chase their customers, leaving no stone unturned to tap them on the go. This is where digital advertising comes into the picture. Indian markets have a huge and an untapped potential. In India, programmatic advertising has a minuscule share in the wider scope of digital advertising (much less than 10%) contrasting with its international market share of 10%. Mobile ad spend in India stood at Rs 2,525 crore in 2016. With affordable internet and cheap smartphones driving content consumption, it is expected to grow at a CAGR of 59 % to reach Rs 13,325 crore by 2020. Annus Horribilis or Annus Mirabilis? Ashish says that the year 2017 was Annus Mirabilis (year of miracles), as Vertoz experienced high growth rates. Direct advertising on programmatic platforms soared, owing to the increasing need for impression-by- impression targeting. ecosystem. This will reduce eliminate fraudulent leads and virus attacks, bringing in credibility and transparency for brands and corporates. Read full article on Adgully.